When faced with the idea of the dentist’s chair, natural tooth whitening methods in the comfort of your home look infinitely more appealing. However, many of these methods carry their own pitfalls, and it’s important to know what you’re doing or you risk damaging your teeth instead of boosting your smile. Today we look at natural tooth whitening, and the facts you need to know to make an informed decision about which route suits you the best. While you certainly can’t expect miracles from the contents of your fridge crisper, there are some natural tooth whitening methods that use the properties of fruits and veggies to help keep your smile brighter. Save your orange peel and rub the white side over your teeth and gums to help fight against the build-up of tartar and keep plaque deposits minimal. Likewise, a blend of strawberries with baking soda takes advantage of the fruit’s malic acid content to brighten your teeth a few shades. Rinse carefully and then brush your teeth, though, as the sugars in the berries can increase your risk of cavities. Far less appealing, chomping down on a raw onion has bacteria-killing properties which can boost oral health and whiten teeth. Always remember that any change towards a healthy diet will help boost your oral health, so a tweak to what you’re eating is always worthwhile, and cutting down on foods which stain the tooth enamel [coffee and red wine are big culprits] will help promote a whiter smile naturally. You’ll find both of these fine powders widely lauded as the ultimate natural tooth whitening solution. The mechanism is very similar for both. You will make a fine paste of the powder and brush it onto the teeth in gentle circular movements before spitting and rinsing. 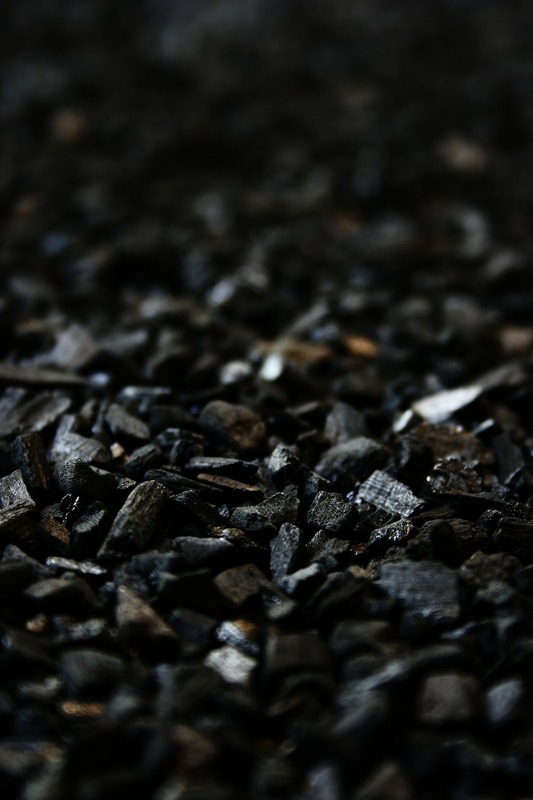 In the case of the charcoal, its porous nature makes it absorbent towards almost anything- this is why activated charcoal is common used in cases of poisoning as well as for excessive flatulence. The theory is that the charcoal will absorb the stains on the teeth, leaving a naturally brighter smile. Baking soda is a plaque-removing, mineral rich powder which will supposedly help strengthen tooth enamel as well as naturally whiten your teeth. Be very aware, however, that both of these powders, while super-fine to the human eye, are in fact very abrasive to the tooth surface. It’s perfectly possible that the reported whitening actions from them both come solely from the ‘scraping’ of the tooth enamel, and extended use over time will significantly weaken your enamel, so be very cautious about these two cures! This slightly gross but ancient natural method of whitening teeth is seeing a resurgence in recent years. Whilst traditionally done with sesame oil, you’ll find modern proponents of this tooth whitening technique most often suggest coconut oil, which is supposed to have mild whitening properties. A small amount of oil is held in the mouth and ‘swished’ between the teeth for approximately 20 minutes, after which you will spit out the oil and then rinse your mouth well with water. The oil will take on a thin, milky appearance and you may notice the presence of particulate in the waste too, the result of your vigorous swishing dislodging food you may have missed with your brush. Your teeth are supposed to whiten naturally over time as you repeat this daily. It is working that, as a boost to overall oral health and a supplement to traditional brushing, oil pulling may be worth your consideration. There is some promising results which suggest that using coconut oil [which is rich in inflammation-busting lauric acid] for this process can help improve gum health, and the duration of oil in your mouth, coupled with physical action of swishing, can help dislodge food particles in a slightly gentler alternative to flossing for those with very tender gums or full blown gum disease. Tooth whitening results seem to be varied, however, but there are those who swear by this method. While each of these DIY tooth whitening methods have some form of track record with helping with oral health, and each has its proponents who swear by the methodology, none of them are without risk- some may even cause more harm then they cure if performed incorrectly. It can also be very disheartening not to see the results you are promised. If you’re looking for a guaranteed solution to a grungy smile that won’t harm your teeth, then professional tooth whitening is the right route for you, and it remains the only guaranteed effective method on this list. Your teeth will be cleaned from tartar and plaque, as well as any cavities or other oral issues attended too, so your teeth will be as good as they can be. A bleaching agent specially selected for you by your dental professional will be applied to your teeth while your gums are protected, and then professionally removed to ensure your safety. This may be repeated several times to tackle several stain layers. There is also a fast-developing range of whitening lasers which can amplify the effects. Professional whitening is definitely preferable to any other treatment. Dental professionals have the skills and knowledge to ensure your do not irritate or damage your delicate gums. While the results won’t last forever, professional tooth whitening will give you a whiter, brighter smile and improve your self-confidence. Whether you opt to try a range of natural tooth whitening remedies, or head straight to the chair of your local dentist, a brighter, whiter future could be there for your teeth- just remember not to get so hung up on the cosmetic look of your teeth that you forget the basics of oral hygiene and the importance of a regular cleaning and brushing routine coupled with regular health-checks at the dentist.